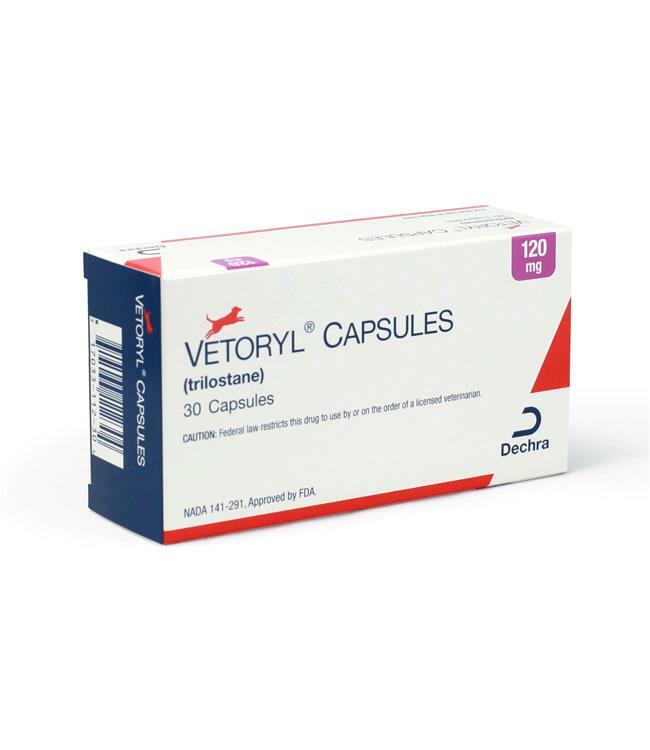 VETORYL® Capsules (trilostane) are the only FDA approved treatment available for both pituitary-dependent hyperadrenocorticism (PDH) and adrenal-dependent hyperadrenocorticism (ADH) in the United States. 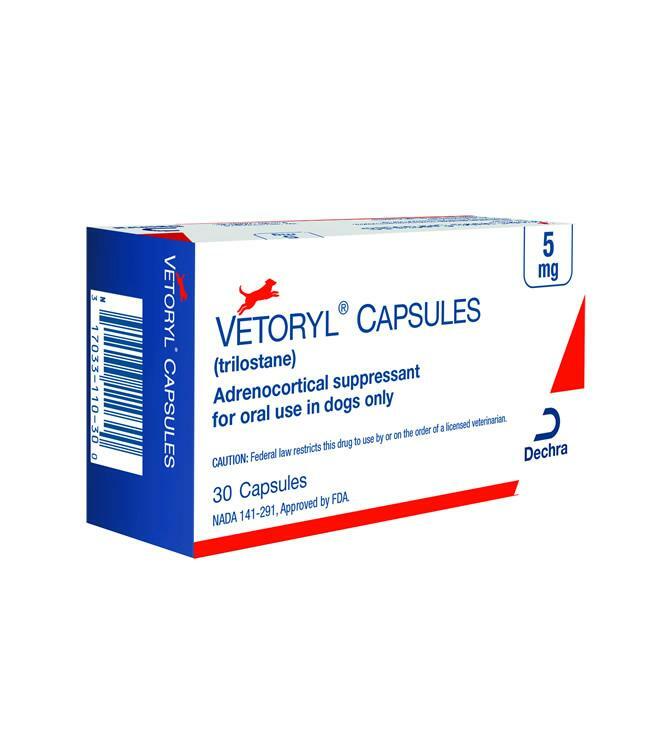 Although the daily administration of VETORYL Capsules does not offer a medical cure for Cushing’s syndrome, it may allow the disease to be managed successfully, enhancing the dog’s vitality and quality of life. 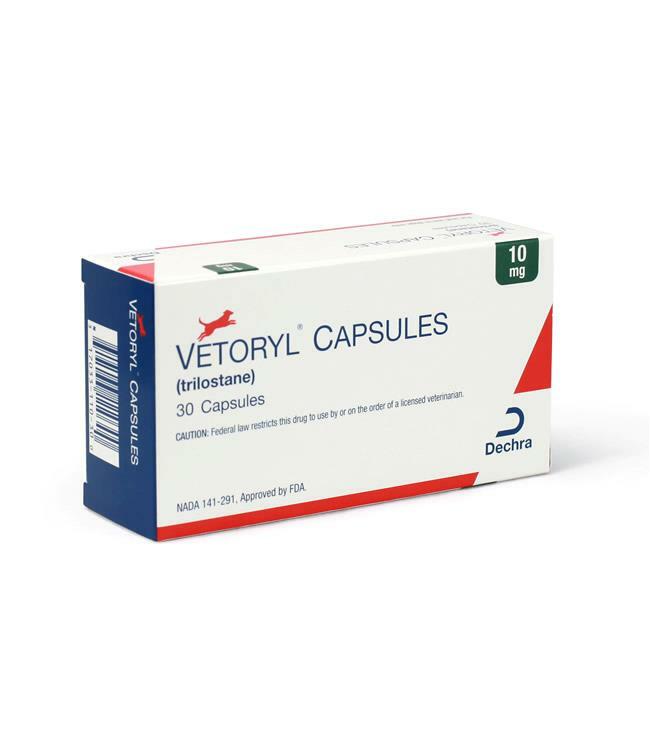 VETORYL Capsules contain trilostane, which selectively, and reversibly, inhibits the enzyme 3βs-hydroxysteroid dehydrogenase, which is involved in the synthesis of several steroids including cortisol and aldosterone. 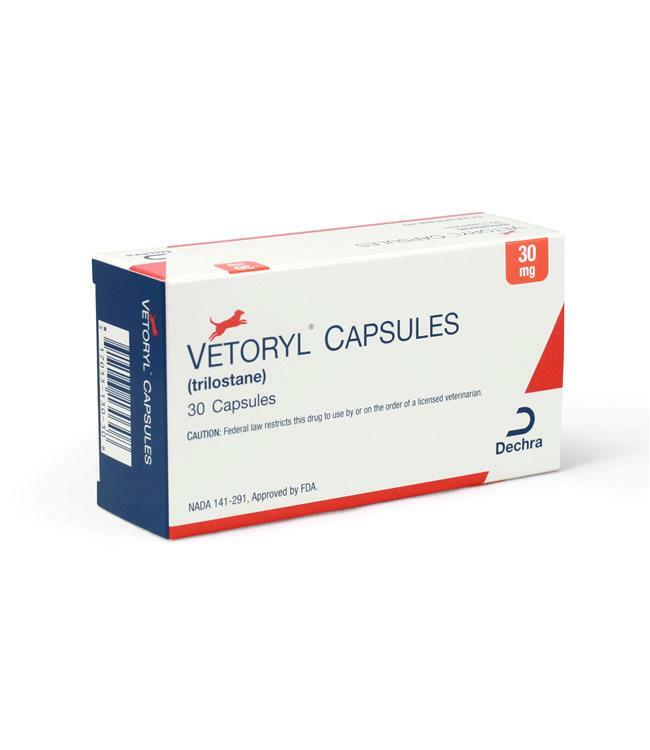 At recommended dose rates, VETORYL Capsules tend to have a more selective effect on glucocorticoid production, however the potential inhibition of aldosterone must always be borne in mind by the attending clinician. VETORYL Capsules reduce circulating cortisol levels, leading to improvement in many of the clinical signs of HAC.